Who would have guessed surviving in business is a lot like surviving lost in the wilderness. I wouldn’t but Jonathan David Lewis researched and discovered this is the case. 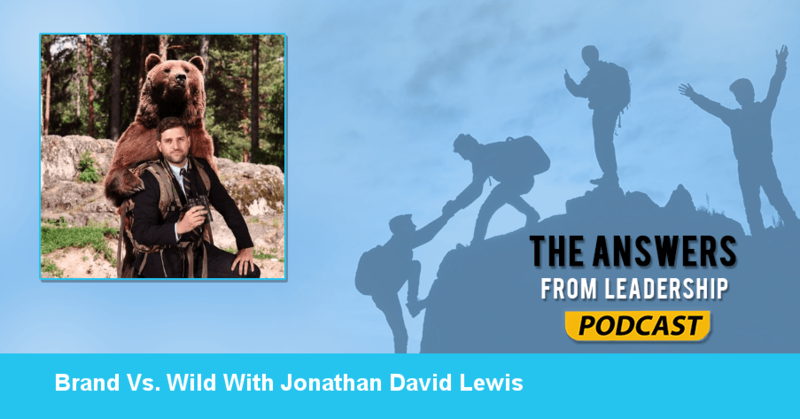 Jonathan has a new book, Brand Vs. Wild, that recently released and I couldn’t wait to have him on the Answers From Leadership podcast to discuss the similarities between being lost in business and lost in the wilderness, how to recover, and much more. That’s a big question. It’s also in its simplest terms something around servanthood or serving others. The best leaders in my life never Lorded things over me. The best leaders in my life I’ve always wanted to follow. I think even the concept of leading, you’re out in front of somebody and they have the choice to follow. It comes back to servanthood. What’s Brand Vs. Wild all about? It’s a lot of fun. Brand Vs. Wild, in a nutshell, is how do companies navigate this overwhelming new economy we’re dealing with today. How do you build something of value? How do you get through this situation where tomorrow isn’t guaranteed. I pulled from survival psychology and our own research into business to illustrate how businesses can navigate. There’s very little difference between someone who crash land and how they psychologically react to that situation and how a group of business leaders dealing with an unexpected challenge. Both have a predictable response to disruption. Of those internal dynamics, they hit in a cascading order. The first thing that happens when you’re lost is you deal with a loss of nerve. You deal with fear. A very specific series of events happen. Physiologically the portion of your brain that is very rational cedes control to the irrational part of your brain. You start to make very bad decisions. How would someone or an organization redirect the fear they’re facing so they can recover? This is something Boy Scouts and survivalists around the world would tell you. They’d tell you the same thing. If you’re lost, if you’re afraid, if you’re acting erratically the first thing you need to do is stop. And that’s an acronym. STOP means Stop, Think, Observe, and Plan. It’s so simple yet so hard. It’s really the last thing you want to do when you’re lost. The last thing you want to do is sit down. Everyone will tell you to stay in the same place and the rescuers will find you. You don’t want to. Your body is screaming for action. It’s pumping blood and wanting to go. 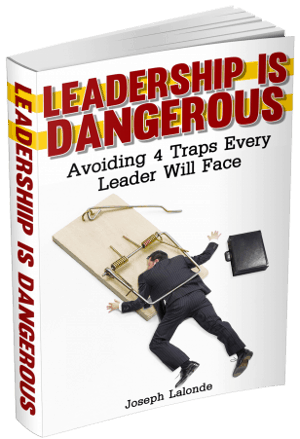 What can a leader do to get their people to STOP? All of these intense situations where some people dealt with the situation and died and suffered and others survived. What we found is that the key difference wasn’t anything external. The external didn’t predict things like the internal dynamics of your team. It was the morale, the relationships of Ernest Shackleton’s team. Those were the marked difference. How do you begin to understand yourself and the dynamics of your team? This is something we do every day. My company, Mckee Wallwork, we’re experts at turning around stalled, stuck, and stale brands. We put this into practice by putting people around the table. One of the things I recommend in Brand Vs. Wild is to initiate your bearings cycle. The bearing cycle starts with: What is my short-term goal? You need to stack your stones along the way. You need to measure your performance along the way. The last step in the bearings cycle is to confirm you’ve made it and then celebrate your success. Can you give an example of something you’ve celebrated in your business? Everything. And we made a point of getting better at celebrating. There’s a lot of pressure in our business. We’re busy. And we measure everything by minutes. It’s very is to not take time with your team to celebrate things. We celebrate our team: anniversaries and birthdays. You need to take the time to honor your team. We made a big deal about my book. And all the people that have contributed to making this happen. What do you wish you would have known about leadership or success in your 20’s? Interesting… I would probably go back to something that happened to me that was a small thing. I was on my way to work and I was late. So I was speeding. I remember hearing that and taking it far more than just “slow down young man.” In my whole life, I was so impatient about everything, racing from this to that. I needed to slow down. There are certain things you have to experience. Do you have any parting words of wisdom? Sure, I think of Brand Vs. Wild and when I boiled down its essence, the future is about resilience. The future is not how we used to define success. It’s not about how big your company is. Or how much money you make. Or scale. Those things are now vulnerabilities. The future belongs to resilience. Being resilient means you emphasize resiliency over efficiency. Connection is now more important than craft. Certainly, you can find more about me on jonathandavidlewis.com. You can search for my book Brand Vs. Wild on Amazon or any bookseller. Subscribe To Answers From Leadership! Want to get the Answers From Leadership podcast delivered straight to your mobile device? Then subscribe directly to Answers From Leadership via one of the links below. If you know another leader who would benefit from this episode of Answers From Leadership, please share this episode with them via Facebook, Twitter, or an email.